I would explore all treatments options before back surgery. My name is Peggy Rogers. I have lived with chronic neuropathic pelvic pain for the past 20years. I developed pudendal neuropathy after a vaginal hysterectomy due to a vaginal cuff abscess. I've tried everything from surgery, medications, nerve blocks, neurostimulators, cryosurgery, radio frequency, injections, and intrathecal pump. The only thing that relieved my pain is stem cell therapy. I recently received a stem cell paste injection into my damaged pudendal nerve area. The stem cells will stay at that injection site for 2years. The stem cells will expand to 4cm at the injection site. The stem cell paste injection contains a very high concentration of stem cells. The stem cells will be healing and combating inflammation/ pain. Dr. Todd Malan of Scottsdale AZ harvested 70million stem cells from my abdominal adipose tissue through a mini lipo-suction. Then the stem cells are separated & counted by computerized equipment. It has been 13 days since the stem cell paste injection into my damaged pudendal nerve. I only feel pressure, tingling, and mild pelvic spasms. Which Dr. Malan told me that this is normal after a injection. Dr. Malan told me that this stem cell paste injection can also be injected into any disc or joint. Even if there disc has herniated (bulging) or ruptured. Even if there is no cartilage in the joint. The stem cells will grow new cartilage for that joint. If you would like more information about the stem cell paste injection, please send me a message. Also you can read of a news article on a Brentwood woman who walks again after receiving stem cell therapy by Dr.Todd Malan of Scottsdale AZ. http:/www.wsmv.com/story/33788245/brentwood-woman able-to-walk-again-thanks-to-stem-cell-treatment. Thanks for the information Peg. In Australia and probably many other countries stem cell therapy is still in its infancy and very expensive and I imagine with America's medical costs it isn't cheap there either. That I am sure would make it prohibitive for many people. On your particular problem it doesn't sound like a typical back problem as it was from damage caused during surgery. A good example why doctors and surgery should be avoided where possible, especially with back issues. The typical back pain sufferer needs to be looking at their posture and problems caused by muscle imbalances to relieve pressure on discs nerves and joints. The stem cell work may be useful for someone who has a damaged structure that is the cause of their pain but this would only be the case in a very small percentage of people. 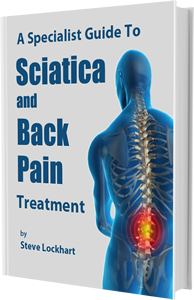 Unfortunately in America treating back pain and sciatica seems to be all about drugs and medical intervention and this is why so many people spend a lot of money and don't get a solution. I am pleased the stem cell work has helped you and hopefully one day it will be completely successful at taking away your pain.